Comments A Captivating super lustrous, one in a million Blue Sapphire from the famed mines of Sri Lanka! A soothing sky Blue colour with a violet tinge! The perfect oval cut, and the perfect clarity, and the fact that it is fully natural, and totally untreated make this a powerful Jyotish quality Shani talisman! Set in a beautiful 18k White Gold ring and ready to deliver the best results of Saturn! Comments Beautiful and classic and an exceptional Organic and Natural Red Coral! Masterfully cut and highly shiny surface and blemish free! 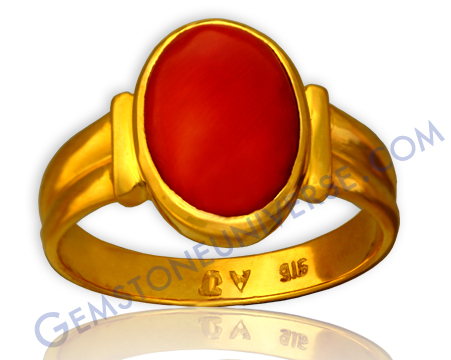 Top Jyotish quality ox blood color red coral with an excellent Oval Cabochon cut and set in a 22k gold Ring, making the powerful astrological talisman for Mars – the planet of Youth and Energy! Comments Such a tantalizing beauty with a spectacular Cut, and Vivid Zambian green colour and also almost 100% clear! This is an astrologically perfect gemstone! Perfect because it is totally natural, and unenhanced and excels on the 4 Cs of gems! From the Zambian mines, and set in this elegant 22k gold ring, it is ready to rope in the powers of the planet Mercury and has made a powerful talisman! 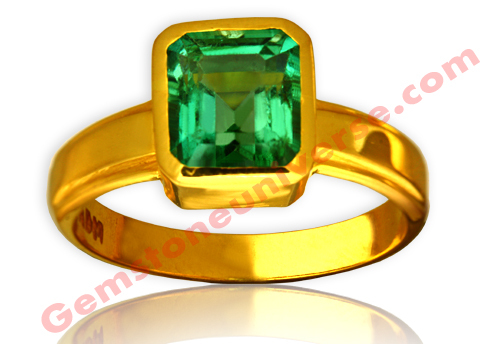 Natural Emerald the gemstone of the planet of business and communication – Mercury! Comments Oh My God! Yes this one of those moments! 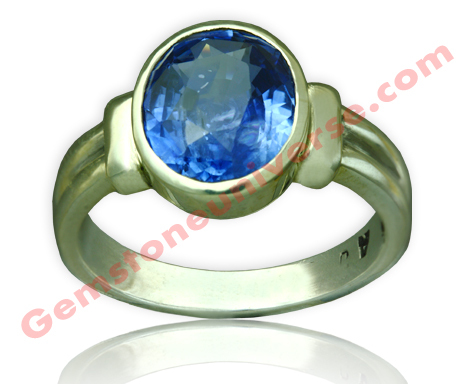 To behold this massive fully natural and untreated Ceylon Blue Sapphire is a treat in itself! To get a natural and untreated Blue Sapphire is in itself a rarity, but to get one at this size is nothing short of a Miracle! 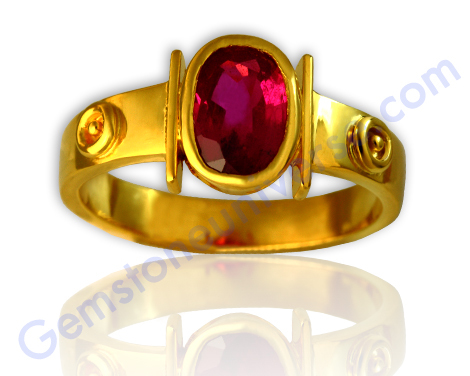 A miraculous gemstone filled with miraculous powers of Saturn! Sattvik and pure filled with Jyotish powers and one of the most potent talismans till date! Comments The powerful Blue Sapphire from Sri Lanka is a totally eye clean gem! The intense fire and lustre, the near perfect shape with just the right proportions, gives the feeling of richness, luxury and uniqueness. Set in this sterling silver ring with Saturn symbols! 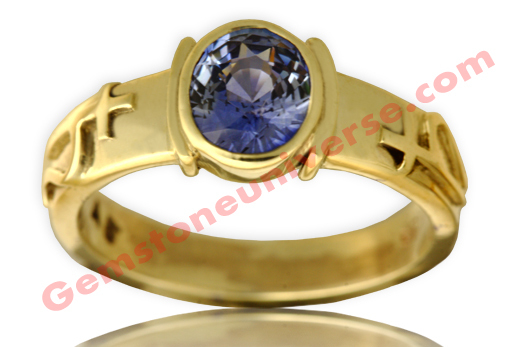 Blue Sapphire the powerful gemstone to capture the powers and gifts of Saturn! 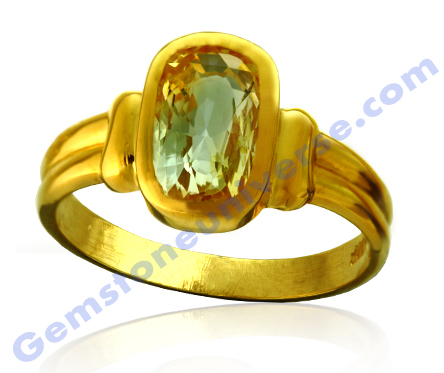 The finest golden yellow and super lustrous fully natural Ceylon Yellow Sapphire! 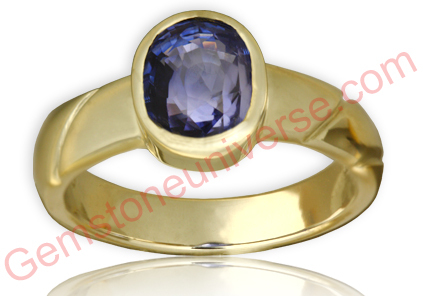 Yellow Sapphire /Pukhraj – The gemstone of Jupiter -The planet of Good luck! Comments Such a massive beauty this! At more than 3 carats this wonderful and super lustrous and the finest Golden Yellow coloured fully natural Yellow Sapphire from Sri Lanka, is definitely one of the most powerful and potent gemstones! Set in this lovely 22k gold ring it is set to deliver the best results of Jupiter-the planet of Good luck and fortune! Scintillation unlimited in this Golden Butter Yellow fully natural Ceylon Yellow Sapphire! And believe it or not we grade such beauties as ENTRY LEVEL! 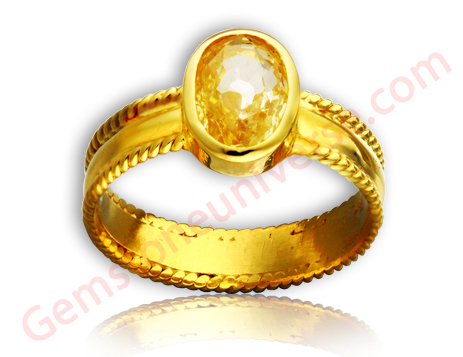 Yellow Sapphire /Pukhraj – The gemstone of Jupiter -The planet of Good luck! Comments Delightful and super scintillating, fully natural and untreated Ceylon Yellow Sapphire! 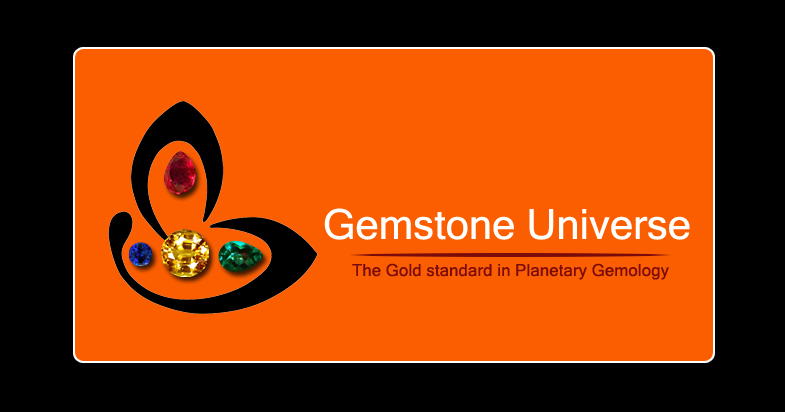 We are proud of the fact that such gorgeous gems are classified as entry level Jyotish quality gemstones! Lovely Golden Yellow Sapphire set in a royal and traditional 22k gold ring to deliver the best results of Jupiter-the planet of Good luck and fortune! Gorgeous eye clean Peridot from China set in Mercury Talismanic ring. Gorgeous, understated and full of super Mercury powers. 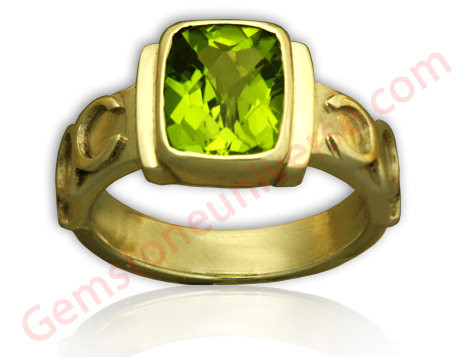 Comments Gorgeous eye clean Peridot from China set in Mercury Talismanic ring. Gorgeous, understated and full of super Mercury powers.